Since 1 July 2011, foreigners in Austria have been issued with the new electronic residence permit in credit-card format. Pursuant to Council Regulations No. 1030/2002 and No. 380/2008, all member states of the European Union are required to introduce the electronic residence permit. The aim is to standardise EU residence permits for third-country nationals, to use biometric data to strengthen the link between the document holder and the document and to thus prevent misuse. 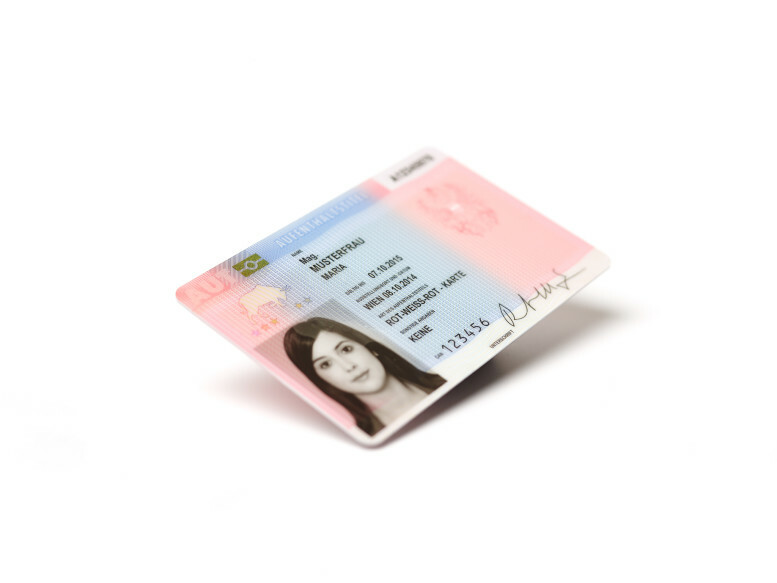 The new electronic residence permit card is produced by OeSD (Österreichische Staatsdruckerei) on behalf of the Austrian Federal Ministry of the Interior. The data printed on the chip (e.g. first name(s), family name, address) is additionally stored in digital form on the chip. The chip also contains biometric data (fingerprints and photo) along with any additional provisions (special conditions). Only authorised bodies, such as the police, the aliens and citizens’ registration authorities may access the chip. In this case, the electronic residence permit must be physically available. It is not possible to read the data via the Internet. The address of the card holder is printed on the back of the card in order to facilitate police checks. Diese Website ist nicht mit den von der OeSD verarbeiteten personenbezogenen Daten verbunden.